The Actors Who Could've Been In THE LORD OF THE RINGS | Warped Factor - Words in the Key of Geek. As with just about every movie made, before the lead actor(s) are cast there are many more that audition or are considered for the role(s). Sometimes the person we see on screen and admire might not have been the directors or studios first choice. 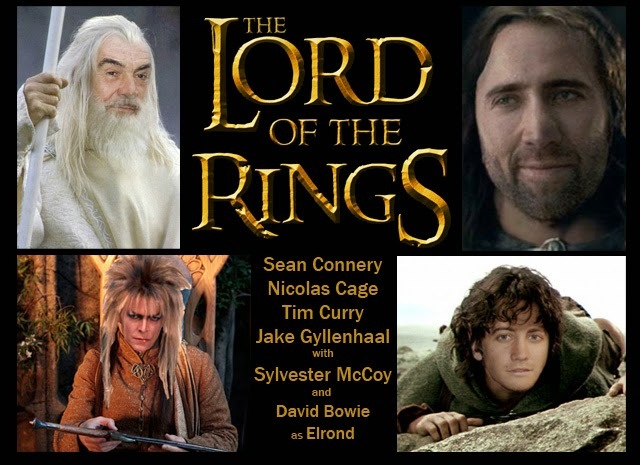 So let's take a look at some of the actors and actresses who, if things had played out differently, could've ended up playing the lead roles in The Lord of the Rings Trilogy. It's hard to imagine anyone other than Ian McKellen in the role of Gandalf the Grey - Peter Jackson certainly felt that way as he's always maintained that McKellen was his number one choice for the part right from his first days of planning the Lord of the Rings trilogy. 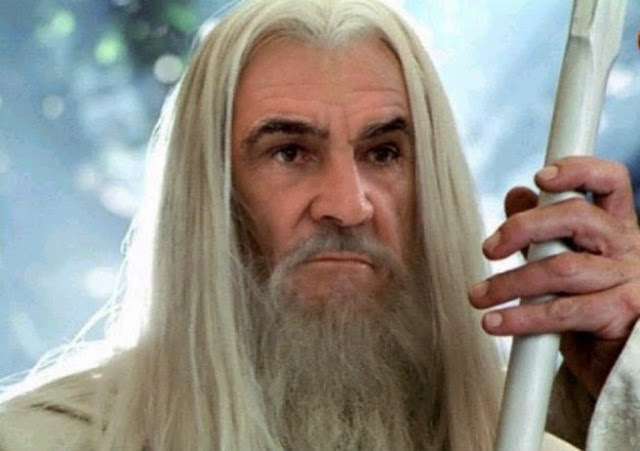 But New Line Cinema were not feeling the McKellen vibe and instead spent considerable time courting Sean Connery for the role of Gandalf. He declined because he had never read J.R.R. Tolkien's novel and just "didn’t understand the script." In an attempt to persuade the Scot to reconsider, a second offer was put to him which included up to 15% of the film’s total box office receipts. He still said "no". If Connery had taken the part he would've earned around $400 million, which is more than any other actor has ever been paid for a single role ever! "I read the book. I read the script. I saw the movie. I still don’t understand it. Ian McKellen, I believe, is marvelous in it." Thankfully Christopher Lee's initial consideration for the role of Gandalf kept him fresh in Peter Jackson's mind. 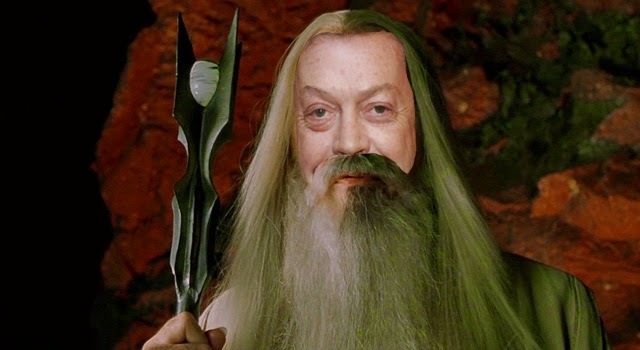 The director had originally hoped for either Jeremy Irons, Malcolm McDowell or Tim Curry to play the role of treacherous Saruman. But after McKellen was signed up for Gandalf, it became clear to Jackson that Christopher Lee was the ideal choice to play his nemesis. Viggo Mortensen was born to play the role of Aragorn. An accomplished swordsman, Mortensen lived and breathed the demanding part, throwing himself into character 100%. This included breaking bones, teeth and almost drowning. But Mortensen nearly remained injury free as he was a late addition to the cast - so late in fact that filming had already begun! Peter Jackson wanted Daniel Day-Lewis, and tried to open negotiations with him multiple times, only to be shot down on each occasion. Whilst this was going on, Jackson found himself in a similar position as with the casting of Gandalf - It seems that New Line Cinema had their own idea for who should be Aragorn. "If I had taken that film, I wouldn’t be here." 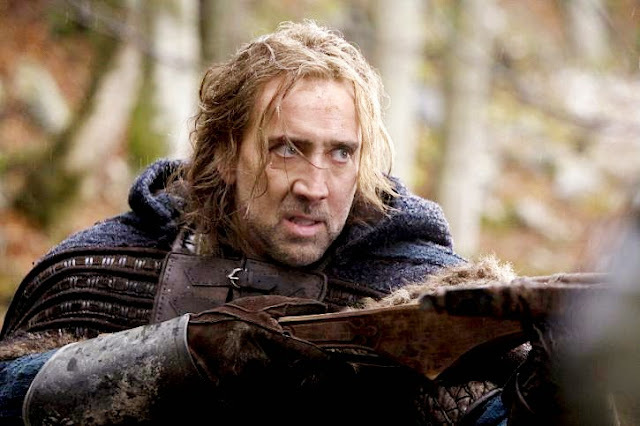 Eventually New Line and Jackson came to an agreement on their Aragorn, and offered the role to Nicolas Cage! I'm not sure I can imagine that working, can you? Fortunately, Cage turned it down due to "family commitments", again another actor likely not wanting to commit to the epic-length shooting process - After all, Nic Cage can fire out 27 films in the time it took Peter Jackson to make the Lord of the Rings trilogy! Eventually Stuart Townsend was cast as Aragorn, but he was replaced by Viggo Mortensen four days in to the shoot. Jackson later stated it was because he realised that an older actor would work better. Townsend went on to play Dorian Gray in the cinematic flop which was The League of Extraordinary Gentlemen, opposite Sean Connery's Allan Quatermain. I wonder if the pair consoled each other over their LOTR losses? 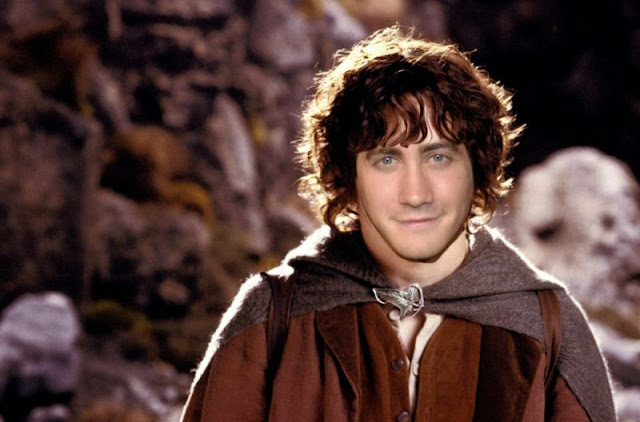 "I remember auditioning for The Lord of the Rings and going in and not being told that I needed a British accent. I really do remember Peter Jackson saying to me, ‘You know that you have to do this in a British accent?’ We heard back it was literally one of the worst auditions." 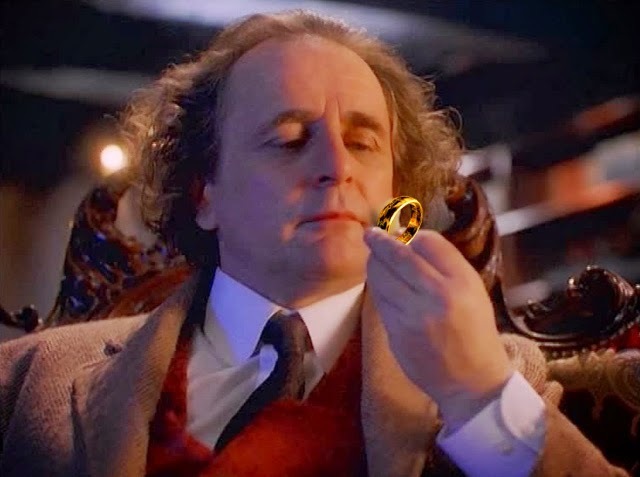 Sylvester Mccoy came so close to playing Bilbo Baggins, narrowly beaten to the role by Ian Holm. As a huge Doctor Who fan Peter Jackson admitted it was a tough choice to make, and McCoy was a very close second, so when it came to casting The Hobbit movies he was one of the first people the director called. Possibly the strangest alternate casting, it'll come as no surprise that the idea of David Bowie as Elrond actually came from the White Duke himself. 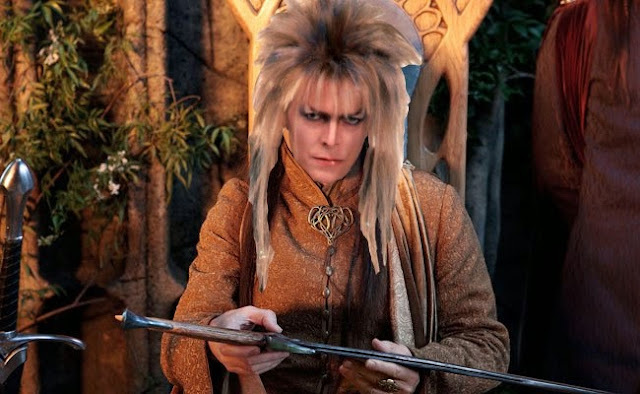 After hearing the movies were in production, Bowie reached out to Peter Jackson, offering his experience of playing a goblin king for that of the elf king! Peter Jackson didn't fancy doing the Magic Dance of Mordor, and just wasn’t feeling Bowie's groove. He turned down the offer because the singer’s fame would overshadow the part. "These are famous, famous characters, loved for nearly 50 years. To have a famous, beloved character and a famous star colliding is slightly uncomfortable."